This Star Wars Collectible Mini Hat Collection is a limited edition collectible with only 170 individually numbered pieces. 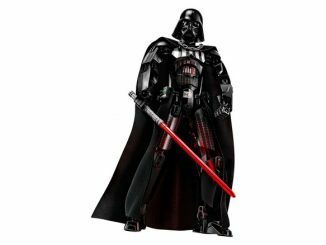 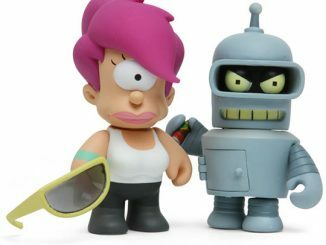 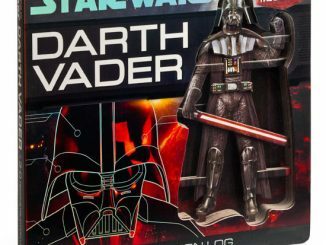 Packaged in a massive 32″ x 18.25″ blister pack that mimics action figure packaging, you can maintain this collection in mint-in-box status while still having it on display. 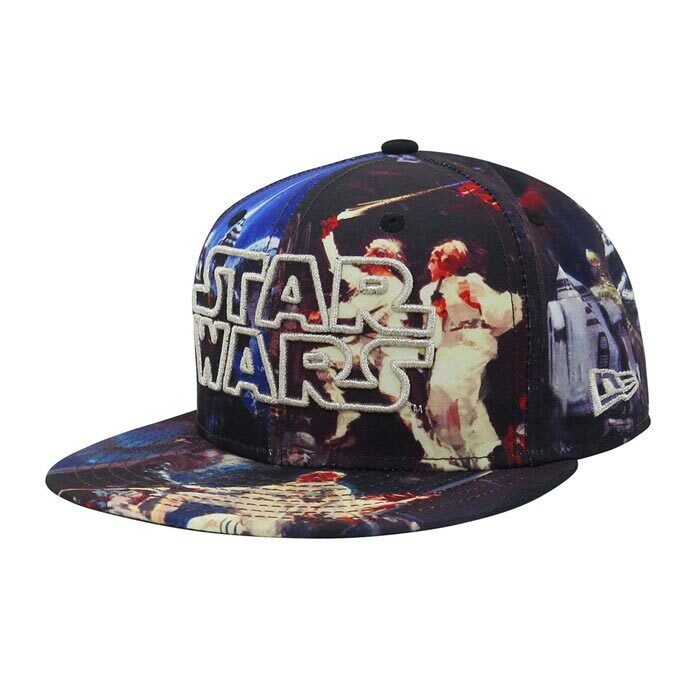 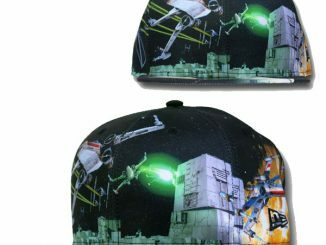 This Star Wars New Era hat collection features one full-size 59Fifty hat with a collage of official movie poster art and an embroidered Star Wars logo. 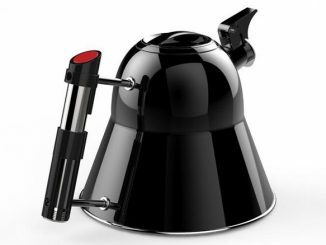 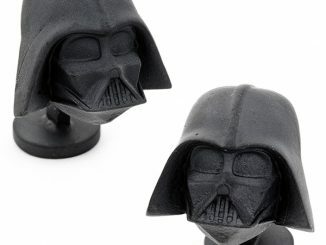 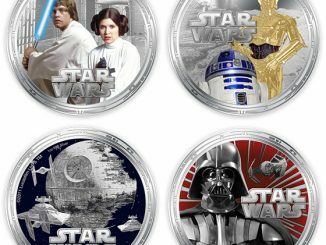 It has five mini caps modeled after 5 of the most iconic Star Wars characters: Darth Vader, R2-D2, C-3PO, Chewbacca, and a Stormtrooper. 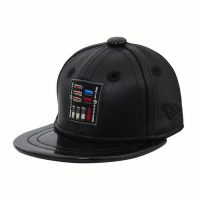 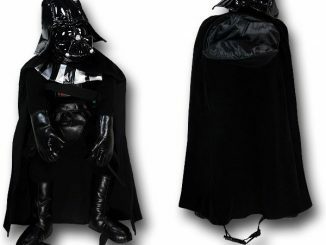 Darth Vader Hat: Black, shiny, and adorned with embroidered controls! 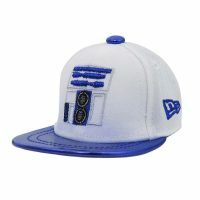 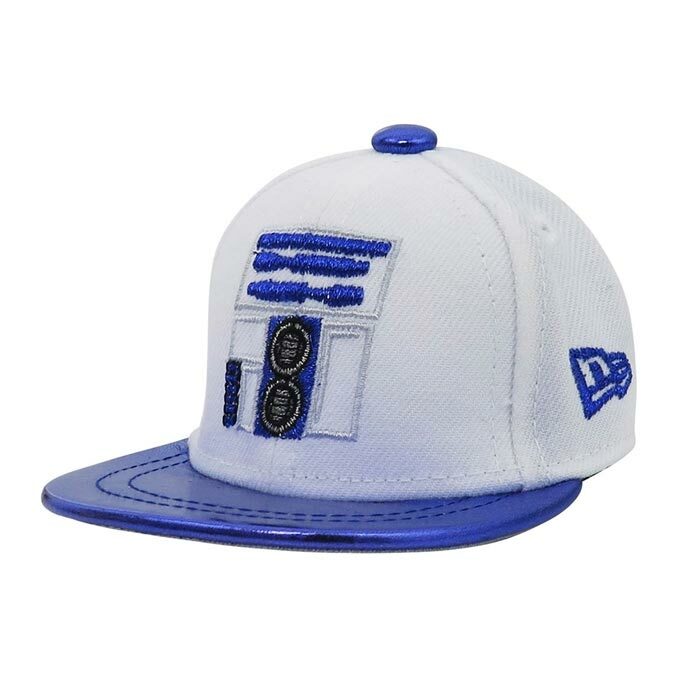 R2-D2 Hat: A white body layered with an embroidered control panel and a blue, reflective bill! 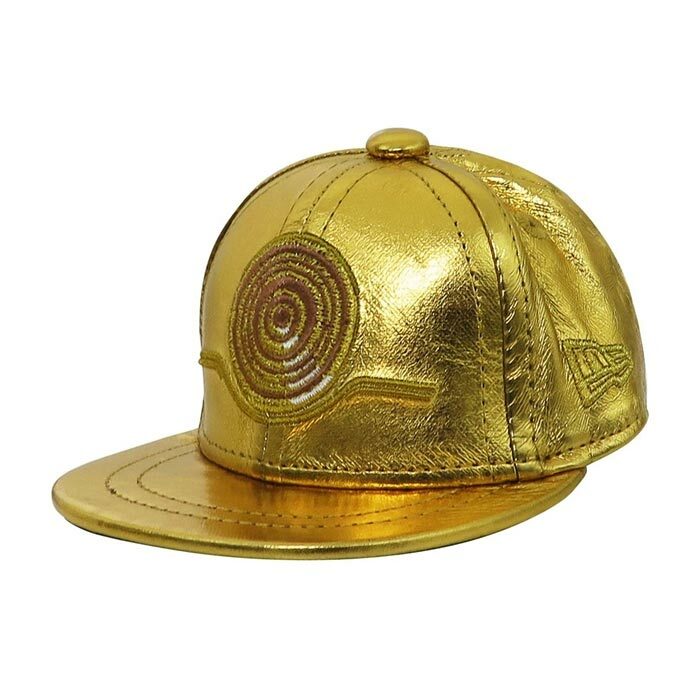 C-3PO Hat: Golden, shiny, extremely talkative, and adorned with an embroidered, simulated torso casing! Chewbacca Hat: A fuzzy mini-cap with carefully embroidered bandolier! 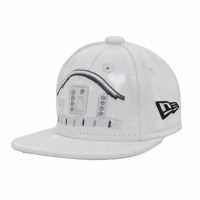 Stormtrooper Hat: Vinyl-like with intricate embroidery simulating a Stormtrooper’s sleek space armor! Full-sized 59Fity Hat: It’s slathered with official movie poster art and layered with a white, glistening and embroidered Star Wars logo! This LIMITED EDITION Star Wars Collectible Mini Hat Blister Pack Collection features 5 Star Wars mini-hats and one full-sized 59Fifty cap sealed in retro action figure packaging. 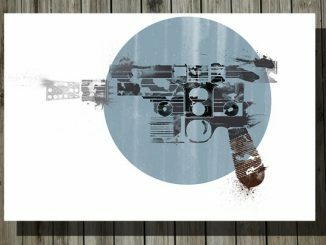 The massive rectangular card measures 32″ high and 18.25″ wide. 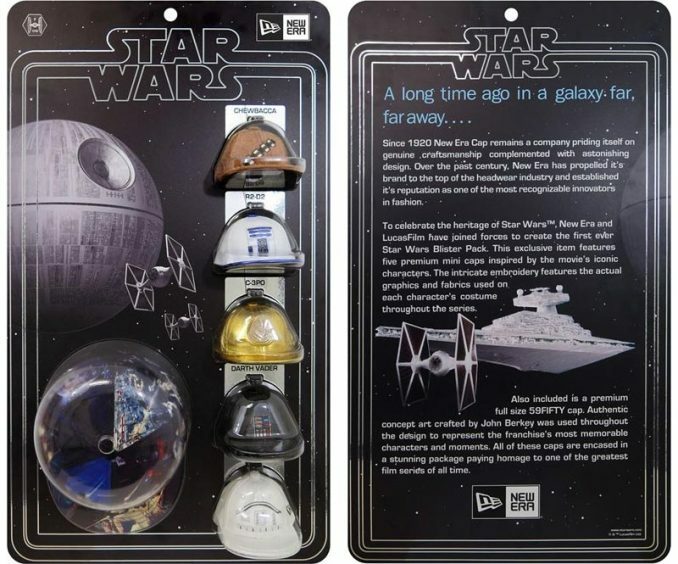 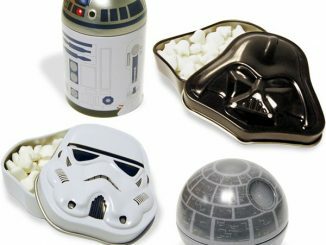 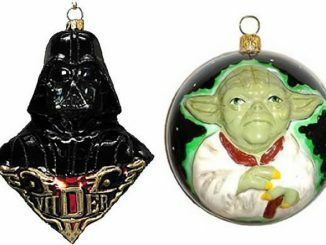 Adorned with hyper-realistic images of a looming Death Star (with accompanying TIE Fighters), this exquisite Star Wars blister pack also features a convenient punch hole for easy hanging/dangling/displaying. 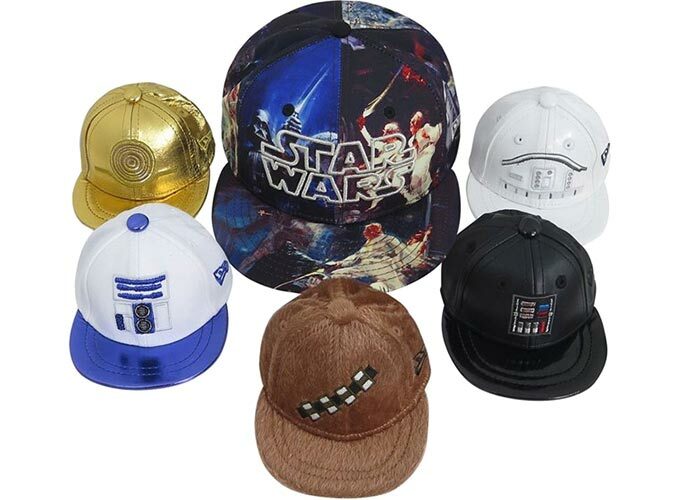 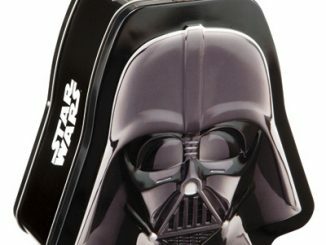 Buy the limited edition Star Wars Collectible Mini Hat Collection for $224.99 at SuperHeroStuff.